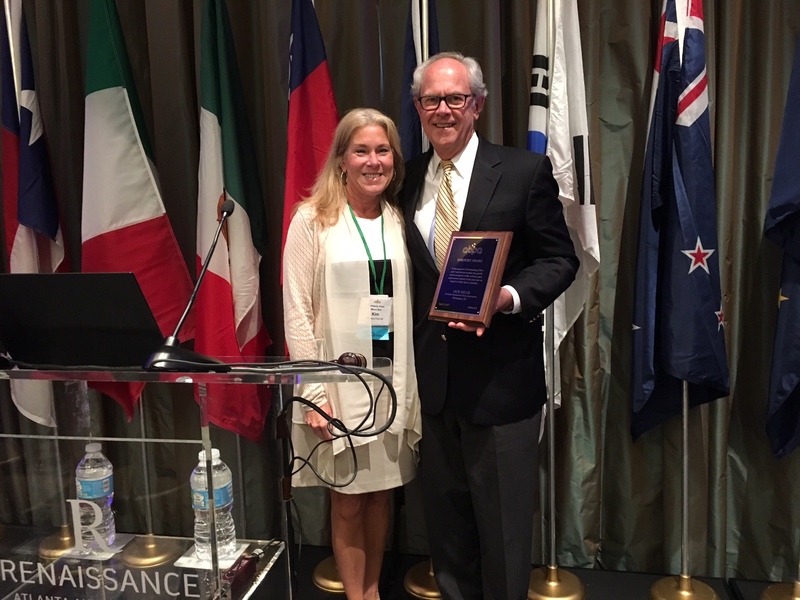 CAPA’s Jack Gillis accepts the Chairman’s Award from Kim Hicks. 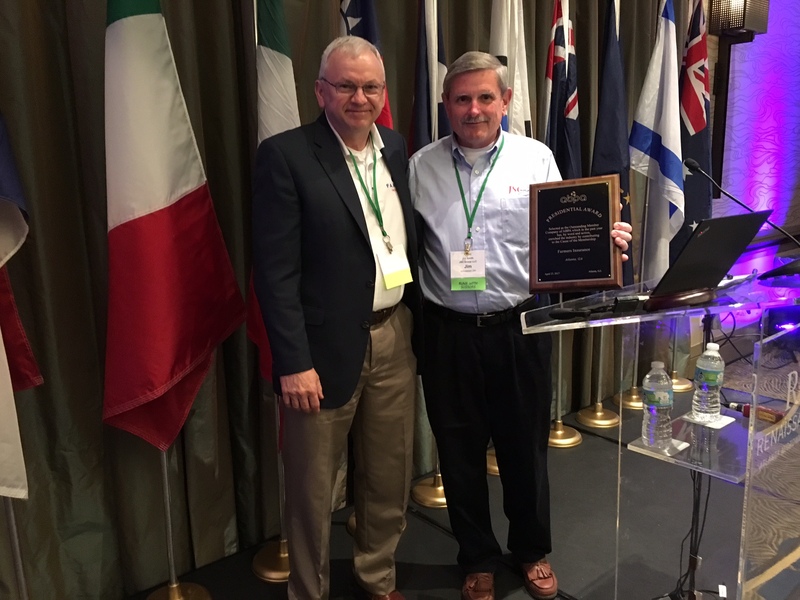 Gerry Poirier of Farmer’s Insurance (left) accepts the President’s Award from Jim Smith. 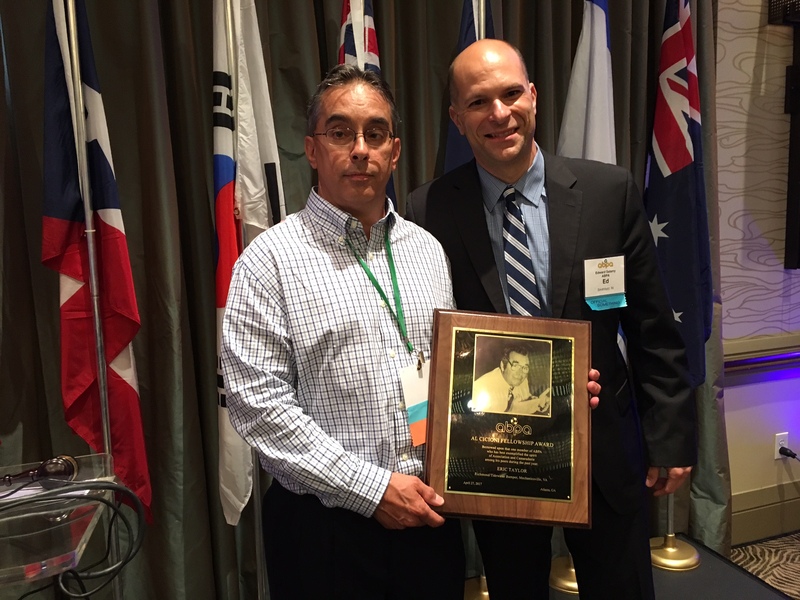 Eric Taylor of Richmond Tidewater Bumper (left) accepts the Al Ciccioni Fellowship Award from ABPA Executive Director Ed Salamy.